​Every year parents ask, “What can we do to get help with funding?” There are so many scholarship opportunities out there that it may become confusing for a family just starting out, or even for a family with past experience. To help you sort through the various opportunities, we have provided a short description for several tuition support organizations. To find out more about any of the organizations, just click on the logo or the link included within the description. ​If you have questions about scholarships, please contact Michele Hackett at 747-3060 or mhackett@stjosephtucson.org. This is a wonderful way for individuals to provide tuition assistance for students in Catholic schools at no additional cost to themselves. CTSO is a qualified tuition support organization that is proud to provide tuition assistance for students in 28 Catholic Schools throughout the Diocese of Tucson. The state provides you with a dollar-for-dollar tax credit for the monies you contribute, up to $2,000 for joint filing. For more information, visit the CTSO website. IBE is a recognized 501 (c) (3) non-profit School Tuition Organization, or STO established in 1998 to accept tax credit donations to be used for private school scholarships. For more information, visit the Institute for Better Education website. ASCT is a state-approved School Tuition Organization (STO) that exclusively serves low-income children through the administration of three state tax credit scholarship programs. For more information, visit the Arizona School Choice Trust website. The Arizona Leadership Foundation is able to offer scholarships through the Arizona Corporate Income Tuition Tax Credit Scholarship Program and the Lexie’s Law Corporate Income Tax Credit Program. These Arizona programs are education plans designed to help low-income families and families with disabled/displaced children obtain the best education for their children. For more information, visit the Arizona Leadership Foundation website. ​AAA Scholarships are funded in Arizona, Florida, Georgia and Nevada by corporations that redirect a portion of their state tax liability to the AAA Scholarship Foundation in exchange for a dollar-for-dollar tax credit. The AAA Scholarship Foundation is one of the only approved 501(c)(3) nonprofit scholarship organizations exclusively serving qualifying low-income, disabled and/or displaced students through these tax credit scholarship programs in multiple states. 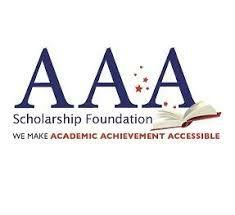 For more information, visit the AAA Scholarship Foundation website. ​Administered by Arizona Department of Education and funded fully by state education tax dollars, an Empowerment Scholarship Account Program (ESA) is a parent controlled bank account established to provide an education for qualified disabled and non-disabled students, whose subject matter must include reading, grammar, mathematics, social studies and science. For more information, visit the Empowerment Scholarship Account Program website.